Microsoft’s Bing search engine isn’t really popular and is mediocre at best. Microsoft’s invested a significant amount of time and money into it but it just can’t compare to Google at the moment. It’s been tied to Windows search since Windows 8 was released and is now tied to Cortana in Windows 10. There are many reasons why you might want to disable Bing search in Windows 10. Here’s how to disable Bing search in Windows 10 and why you should consider doing so if you find your PC lagging. 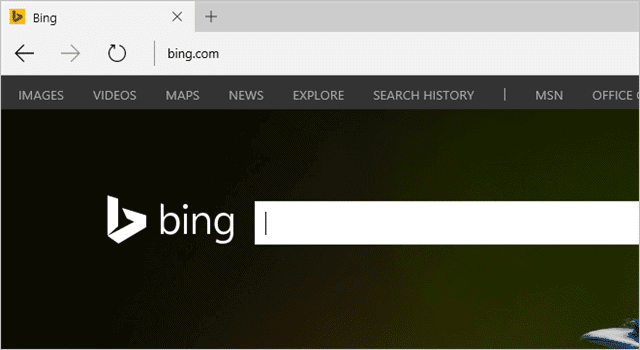 By disabling Bing search in Windows 10, you’ll still be able to use search locally on your PC. However, it will render Cortana useless. This will speed up your search results and make you PC run faster. In fact, if you’re seeing high disk, CPU and RAM usage, you might consider turning off Bing search and potentially indexing on your PC. Disabling Bing search is easy to do. Search for “Cortana settings” in the search bar and click on the result. Immediately, a new setting will appear below that which says “Search online and include web results.” Turn the slide for this off to fully disable Bing. You’ve now disabled Bing search in Windows 10, along with Cortana. In order to turn them back on, simply turn both sliders on in the future. 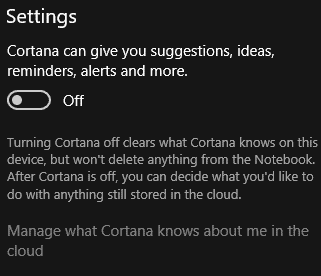 You’ll have to accept the terms and conditions of using Cortana again, but it will save all your information if you were capturing it before. While Bing itself may not be the best search engine around, when coupled with Cortana and in use, it can provide you with a wealth of information at your fingertips. Most of Cortana’s results, such as for weather, sports scores and more come from Bing result. When using Cortana, Bing turns into a pretty powerful tool as opposed to trying to use it alone on the web. We do suggest you give Cortana a try. You’ll be surprised by what Bing can bring to the table when used with the virtual assistant as opposed to searching Bing on the web through your browser. You might be surprised by what you’re getting from Bing in Windows 10. If you’re seeing a slowdown on your PC or don’t plan on using Cortana at all, we recommend disabling Bing search in Windows 10. You’re guaranteed to see a performance improvement, especially when searching in Windows. While Bing serves a purpose, coupled with Cortana, it’s not for everyone and is easier than you’d expect to disable in Windows 10.